IronPigs, Reading Phillies, Phantoms, SteelHawks, SteelFC…. Something had to give. And, despite the fact that I’ve enjoyed the USL games with SteelFC, I found myself missing more games than I was getting to, and had to give up my season package this year. However, that doesn’t mean I won’t be going to games! So, despite the fact that the game schedule had been out for a while, I was really looking forward to the match times and the single-game sales for this year. And, here it is as I’ve copied the full press release below. I’m not a big fan of the facility there at Goodman Stadium; however, there is quite a nice tailgate scene. Anyone wanting to go down and do some tailgating please let me know and we can get together! BETHLEHEM, Pa. (February 9, 2018) – Ahead of the club’s third season in the United Soccer League, Bethlehem Steel FC announced today its full schedule today. The release includes match dates and start times for all Steel FC games this season. In addition to kickoff times, the club has announced that individual tickets to all Steel FC home matches will go on sale onThursday, February 15, at 9 a.m.
As previously announced, Steel FC’s season kicks off at 2 p.m., on Sunday, March 18, when Steel FC welcomes the Richmond Kickers to Goodman Stadium. Steel FC will play its two March home contests at 2 p.m., before transitioning to a 3 p.m. kickoff time for its April home matches. Like last season, the club starts its matches at 5 p.m.beginning in May and will continue to do so until September. Steel FC’s match against Indy Eleven on Thursday, July 26, is the exception to that time, as kickoff is scheduled for an 11:30 a.m. ‘Camp Day’ matinee. The final three matches at Goodman Stadium will see games kickoff at 3 p.m. Along with the kickoff times being announced, the club announced single-game ticket sales will begin next week. A special pre-sale will take place for all Steel FC season ticket members, with information coming via email. General public ticket sales begin on Thursday, February 15. In addition to Season tickets, Steel FC supporters can purchase Flex and Group tickets for all Bethlehem Steel FC matches at Goodman Stadium. Steel FC is also offering a special group ticket package, with any group purchase made before March 1st, receiving 15 free tickets to the club’s home opener. The package can be ordered by calling the ticket office at 1-484-403-0500. Below please find Bethlehem Steel FC’s full 2018 schedule. Times are subject to change. A printable version of the schedule can be found here. Sunday, March 18 vs. Richmond Kickers 2 p.m.
Saturday, March 24 @ Tampa Bay Rowdies 7:30 p.m.
Saturday, March 31 vs. Nashville SC 2 p.m.
Sunday, April 8 vs. Charleston Battery 3 p.m.
Sunday, April 15 vs. FC Cincinnati 3 p.m.
Saturday, April 28 @ Louisville City FC 7:30 p.m.
Sunday, May 6 vs. Richmond Kickers 5 p.m.
Saturday, May 12 @ Charleston Battery 7 p.m.
Wednesday, May 16 vs. New York Red Bulls II 5 p.m.
Saturday, May 19 @ Indy Eleven 8 p.m.
Friday, May 25 @ Ottawa Fury FC 7 p.m.
Saturday, June 2 @ North Carolina FC 7 p.m.
Saturday, June 9 vs. Louisville City FC 5 p.m.
Wednesday, June 13 @ FC Cincinnati 7:30 p.m.
Wednesday, June 20 vs. New York Red Bulls II 5 p.m.
Saturday, June 30 vs. Charlotte Independence 5 p.m.
Friday, July 6 @ Penn FC 7 p.m.
Wednesday, July 11 @ Atlanta United 2 7 p.m.
Saturday, July 14 vs. North Carolina FC 5 p.m.
Wednesday, July 18 @ New York Red Bulls II 7 p.m.
Thursday, July 26 vs. Indy Eleven 11:30 a.m.
Sunday, July 29 vs. Atlanta United 2 5 p.m.
Saturday, August 4 @ Richmond Kickers 7 p.m.
Wednesday, August 8 @ Charlotte Independence 7:30 p.m.
Sunday, August 12 vs. Pittsburgh Riverhounds 5 p.m.
Thursday, August 16 @ Toronto FC II 7 p.m.
Wednesday, August 22 vs. Ottawa Fury FC 5 p.m.
Saturday, August 25 @ Nashville SC 8:30 p.m.
Sunday, September 2 vs. Penn FC 3 p.m.
Saturday, September 8 @ Pittsburgh Riverhounds 7 p.m.
Saturday, September 22 vs. Toronto FC II 3 p.m.
Sunday, September 30 @ Ottawa Fury FC 1 p.m.
Saturday, October 6 @ Indy Eleven 7 p.m.
Sunday, October 14 vs. Tampa Bay Rowdies 3 p.m.
Bethlehem Steel FC is currently preparing for its third season in the United Soccer League, officially joining the league on Oct. 27, 2015. Based in Bethlehem, Pa. in the Lehigh Valley, it is the official USL affiliate of Philadelphia Union of Major League Soccer. Also owned and operated by Keystone Sports and Entertainment, LLC, the team started their inaugural season on March 25, 2016 at FC Montreal and played the home opener at Lehigh University’s Goodman Stadium on April 3, 2016. Last season, in the club’s second year, Steel FC qualified for its first USL Cup Playoff appearance. 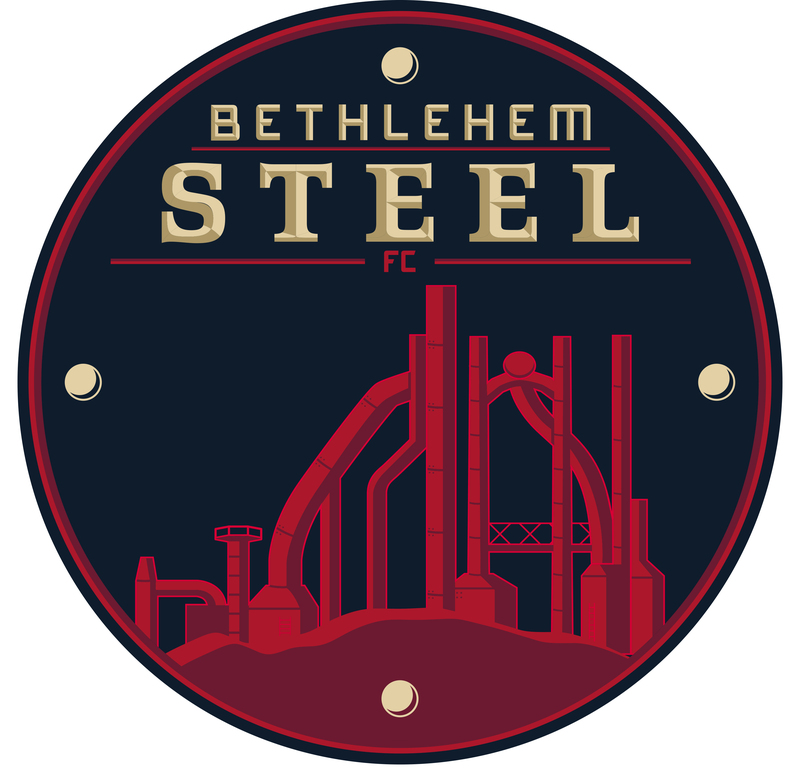 For more information about Bethlehem Steel FC, visit www.bethlehemsteelfc.com.